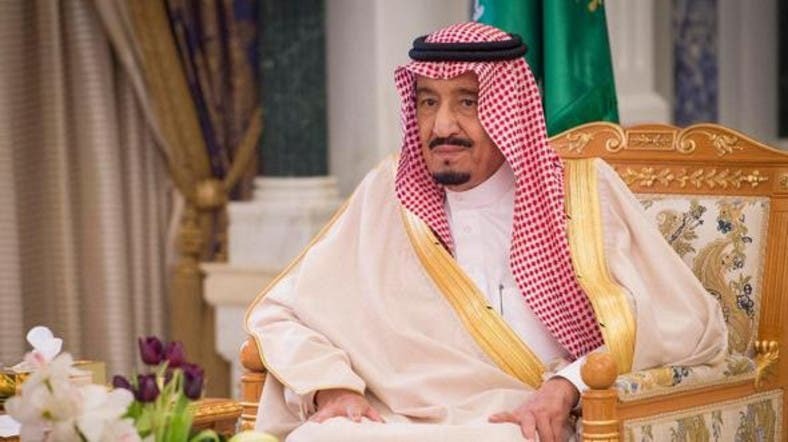 King Salman gave his order at 12 a.m. on Thursday, the news channel said. Hours later the Royal Saudi Air Force carried out several airstrikes on Houthi positions in Yemen, destroying most of an airbase used by the militia in Sanaa and "most of their air defenses," a Saudi source told the channel. Saudi Arabia’s Ambassador to Washington, Adel al-Jubeir, told reporters in Washington the kingdom had launched a military operation involving air strikes in Yemen against Houthi fighters who have tightened their grip on the southern city of Aden where the country's president had taken refuge. Al-Jubeir told reporters that a 10-country coalition had joined in the military campaign in a bid "to protect and defend the legitimate government" of Yemen President Abd-Rabbu Mansour Hadi. Saudi Defense Minister Prince Mohammed bin Salman had warned Ahmed Ali Abdullah Saleh, the son of Yemen's former President Ali Abdullah Saleh, against advancing toward Aden. The Houthis have joined forces with the loyalists of former President Saleh in their offensive to take control of Yemen. Yemeni Foreign Minister Riad Yassine told Al Arabiya News channel that the operations would continue until the Houthis agree to join peace talks and backtrack on all measures taken since their occupation of the capital Sanaa last September. 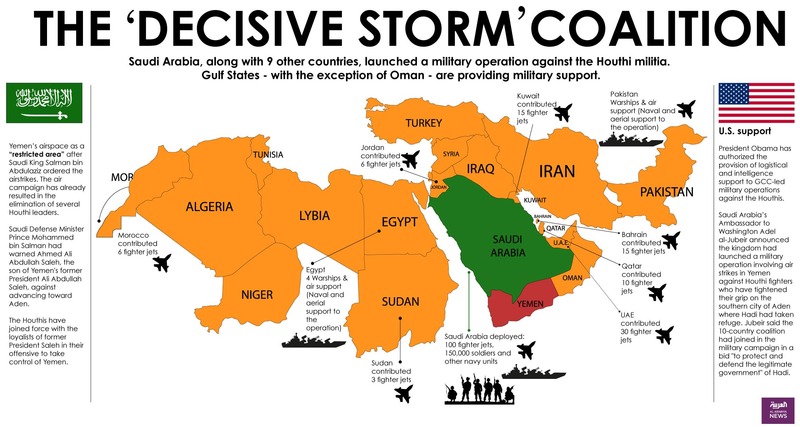 The military operation came shortly after Arab Gulf states, barring Oman, announced that they have decided to “repel Houthi aggression” in neighboring Yemen, following a request from the country’s President Abedrabbo Mansour Hadi.